True, you have read a lot about affiliate marketing, how it works and what you need to do to get the best out of it. This post will reveal to you how people get paid in affiliate marketing business. If you know this, you are sure to be conversant with what you need to do to actually get the money rolling in. 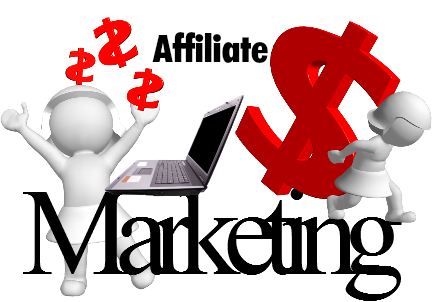 If you intend to go into affiliate marketing, then you must be aware of the compensation methods available. This is basically called revenue sharing. From my personal research, about 70 percent of affiliate marketing programs today use revenue sharing. Revenue sharing is basically the share of the commission you get for a referred business sale. It is also called Cost Per Sale or CPS. It is basically a low risk but high profit strategy of getting new customers for a business, product or service and then getting your share. This is a method used by 20 percent affiliate marketing programs. This method is also known as Pay Per Action (PPA). An action can be a purchase of a product, a submitted form and others that is linked to the advertisement. Less than one percent of affiliate marketing is CPC or CPM. This is best personified with the Pay Per Click advertising model that is used on websites. It is more of a pay per performance model. CPC is the cost that an advertiser pays to a search engine and other Internet publisher for a single click on their advertisement. Examples of CPCs are the Google Adwords, Microsoft AdCenter and Yahoo! Search Marketing. Google offered their AdWords in 2006, but was discontinued in October 2008 and was replaced by another Google-owned service called DoubleClick. Feel free to share this post if you love it. Also make your comments appropriately.